Podcasts, social media posts, and bloggers are always spitting out tips on how to be happier, relaxed, and better rested. But no matter how much we hear them, rest and relaxation may go unachieved. We’ve been exploring this topic for quite some time, and we’ve found that it can be simplified while keeping things legit and scientific. Also, we’ve discovered that it HAS to be kept simple and legit, otherwise it will end up on the backburner (Note: this is bad when you leave your burners going because you’ll eventually get burned). So, to keep things simple, we’ll focus on two biological aspects of rest and relaxation and throw out some scienc-y solutions that can address them. Now let’s dive in! Put That SNS On Standby! We’ll say our nerves are frazzled when we’re stressed out, but there’s a literal truth to this common statement. Our nervous system (aka system of nerves) plays a direct role in stress through the autonomic nervous system and it’s two parts: the fight-or-flight sympathetic nervous system (SNS) and the rest-and-digest parasympathetic nervous system (PNS). 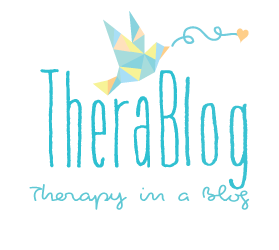 When we get stressed out, our mind senses a threat and triggers the stress response. It doesn’t matter if we’re thinking about a project deadline or we’re looking at a hungry mountain lion, our mind perceives these stress-inducing feelings to mean that there is a threat. So, the SNS is activated and the body begins pumping out adrenaline to get the muscles and brain prepared to fight or run away. If we remain stressed after this initial adrenaline release, our body will emit cortisol to help keep us alert. Very helpful when you’re running away from a mountain lion. Not so helpful when you need to relax to get to work or to fall asleep. Better rest comes in shifting from the adrenaline and cortisol craziness of an active SNS to the calm and peaceful state of an activated PNS. In other words, we need to stop stressing out so that we can relax and rest. Sip Herbal Relaxants: There are a few categories of herbs which can be used to promote relaxation and better sleep. Nervine relaxants are able to calm the nervous system to reduce stress, plus they can ease tension in our bodies. The most effective include skullcap, kava kava, wild lettuce, and passionflower. You can drink them as tea or take them as a tincture, but do so as recommended. They can have sedative and mildly-euphoric effects, so you want to make sure you don’t overdo it on the dosage. For a more mild but equally powerful relaxing alternative, get a bottle of quality essential oils like lavender, chamomile, and hops. Apply to the body via carrier oil after your nightly shower, drop it on your pillow, or put it in a diffuser to catch a whiff of restful scents. Conscious Breathing: If we had a dollar for every time someone told us, “Just breathe!” we’d be a good hundred dollars richer. Annoying as this advice may be, it’s spot on. The claimed benefits of breathing of ancient schools and practices are being validated by modern science again and again. Scientists and sleep experts know that conscious breathing can reduce blood pressure and elevate mood. By focusing on our breathing we not only get more oxygen into our bodies and supercharge circulation. Turning our attention to our breath naturally relaxes our stress response, allowing us to shift from the fight-or-flight sympathetic nervous system to the rest-and-digest parasympathetic nervous system. It’s easy to scoff at meditation with how trendy and overhyped it’s become, but the benefits or mindfulness and breath are real. Stop Stressing And Write Down Your C.R.A.P: Night time needs to be set as a special time for us to sit back, relax, reflect, and enjoy life. However, the mind isn’t always on board with this. That’s where neuroscientist Dr. Mark Waldman and his C.R.A.P. Board (Conflicts, Resistances, Anxieties, and Procrastination) can help. Jot down everything you need to get off your chest for each worry: what you’re worried about, how you feel about it, why it’s so stressful, everything. Simply making this list and setting it on the table for review the next morning may be enough. However, if you’re still feeling anxiety, take it a step further by writing out the absolute worst that could happen (it’s never really as bad as our mind claims it is), then follow-up by listing a some quick ideas on actions you can take to help address that. Getting this stuff down on paper will allow your mind to shut up because it knows that all your CRAP is on a list and waiting to be taken care of. There’s a good chance you’ve heard of circadian rhythms, but there are some important factoids that get missed. Circadian rhythms refer to a natural cycle our bodies follow involving body temperature, metabolism, behavior, and hormone production (ie. sleep-inducing melatonin). Daylight plays a major role in our circadian rhythms and sleep patterns. Here’s the deal. Inside our brain, there’s a nerve bundle known as the Suprachiasmiatic Nucleus (SCN). This group of nerves happens to be located right next to the area of the brain where our opticals nerves cross. Our optical nerves pick up on light and darkness, so our SCN naturally knows daytime from nighttime and acts as the master clock. When the SCN perceives darkness, it kicks up production of the sleep hormone melatonin to initiate rest and relaxation. As the night goes on and the morning sun begins to shine in our bedroom, the SCN cuts down on melatonin. So, when it comes to getting our bodies to relax and rest, we need to get our circadian rhythms on track. Routine: Remember how as a kid in school, you’d wake up at the same time every morning? That’s because routine helps to regulate processes within our body so we develop our own inner clock. Our bodies loves cycles and routines. Now, as adults we have our routines, but the average person’s schedule involves going to bed too late, sleeping too little, taking little to no time to unwind, etc. 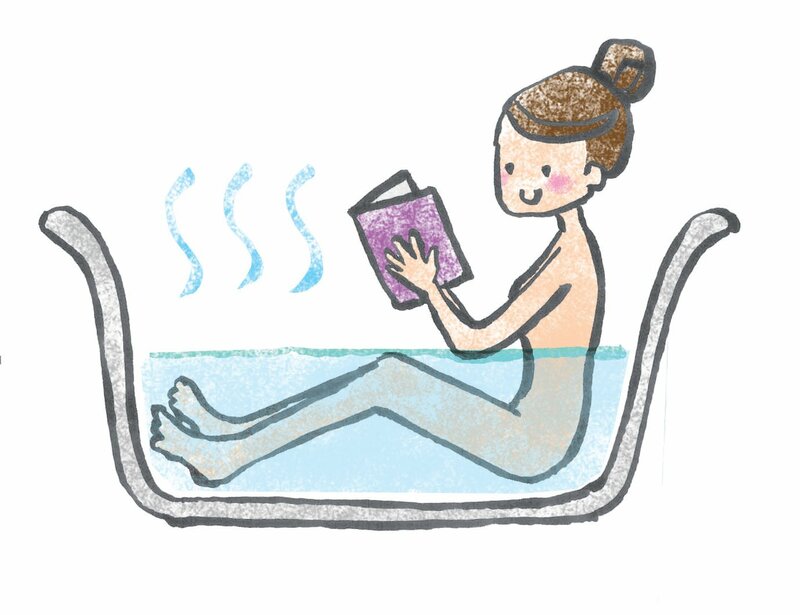 We need a solid routine where we give our minds and bodies time to relax and we allow for ourselves to get enough sleep to feel restored and refreshed. Lighting: Electronics and standard light bulbs produce light within the blue wavelength spectrum. Just like our sun. Blue light throws off our natural circadian rhythms, and it’s being studied for links to health problems too. It’s safe to say that this is one time where we should “go natural.” Stick with dim lighting (or invest in red light bulbs if you can), blue-blocking glasses, and apps that filter light for night time. While you’re avoiding light at night, make sure that you’re allowing yourself plenty of wakeful light in the morning. If you have to wake up early or you have blackout curtains, considering investing in wake-up light therapy clocks. That’s it for today’s tips on rest and relaxation. Have you tried out any of the tips shared above? Or maybe you have one to add to the list? Be sure to share with us on social media! Curious about all the items in our sold-out August Rest themed box? Today we’re diving into a thorough look at everything inside our April TheraBox, and also a sneak peek into what’s coming up in our May box of happiness! April’s theme was gratitude with a subtle reminder to stop and smell the roses 😉 If you missed out on our sold out April box, have no fear! You can now purchase one time products directly from our site or visit the links below to get yours! Research shows it takes about 21 days to rewire our brains for change! You can rewire your brain for more joy simply by recalling 3 things you’re thankful for everyday. Based on this philosophy, we thought it fitting to include a Thankful Jar in our first box. The Thankful Jar comes with 30 Gratitude Strips and decorative pieces including twine, crinkle cut paper, and a handmade tag. Our subscribers were encouraged to decorate each jar to their own unique styles, and we received amazingly creative pictures from our happiness junkies! This 100% organic therapeutic grade essential oil blend includes Lavender, Orange, and Bergamot, all of which provide both calming yet uplifting benefits. Lavender and Bergamot both contain a significant percentage of Linalyl acetate. This component encourages balance in the body and reduces stressful feelings while Orange’s uplifting aroma unblocks and circulates stagnant energy! Laura is a registered Aromatherapist and studies botanical perfumery and herbalism in order to provide high quality botanical ingredients in all of her products. 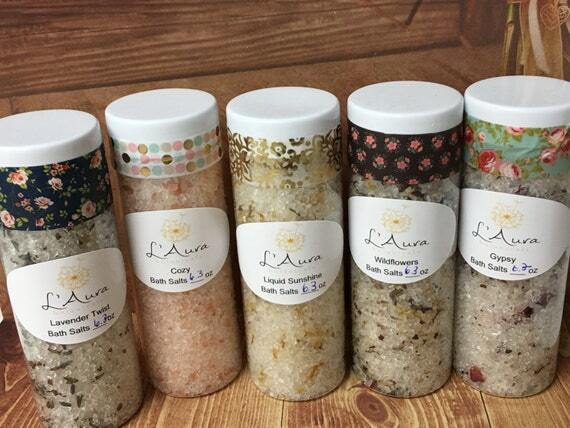 Immerse yourself in the aroma of skin nourishing essential oil blends mixed with mineral rich Dead Sea Salts, Pink Himalayan Salts, and Epsom Salts to indulge your mind, body, and spirit! 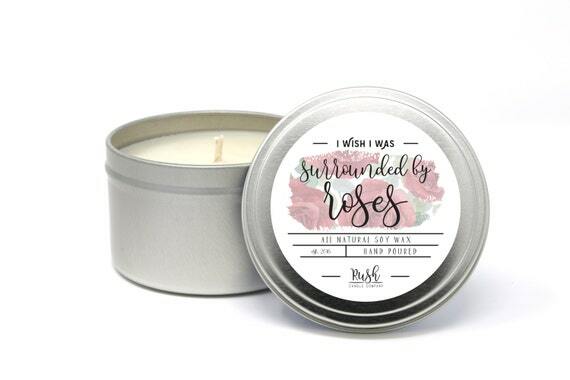 Rush Candle Company proudly hand pours all their natural soy wax candles in small batches. Their wicks are nontoxic and use the finest phthalate free fragrance oils available! Light these wonderful candles without fear, and treat yourself! 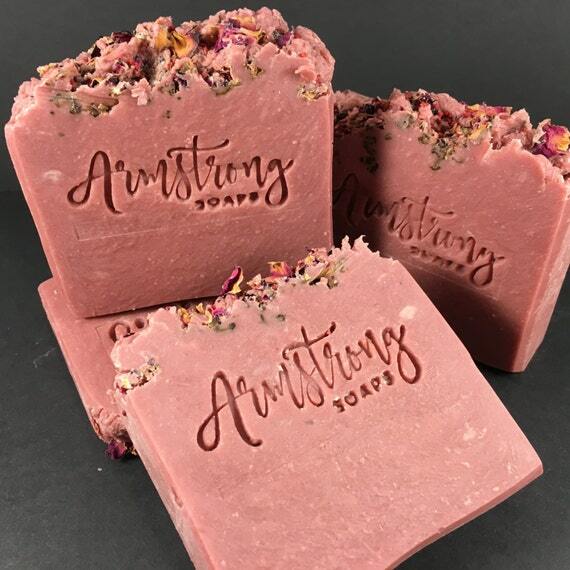 This 100% all natural soap has no pigments or colorants used, and is made of rose, cedarwood madder root, rose clay, and essential oils. Rose clay is considered a type of kaolin clay and is suitable for dry skin! They’re so pretty, we almost don’t want to use it! An aromatic blend of the finest organic loose leaf tea leaves and sun dried rose + jasmine flower buds. Each vial is good for 5 services. This handmade flower infused mix can help alleviate stress, cleanse the body, and leave you feeling happier & healthier! Take a sip and start your day organically! This adorable stainless steel tea infuser is the perfect gift for all tea lovers and will put a smile on anyone’s face! 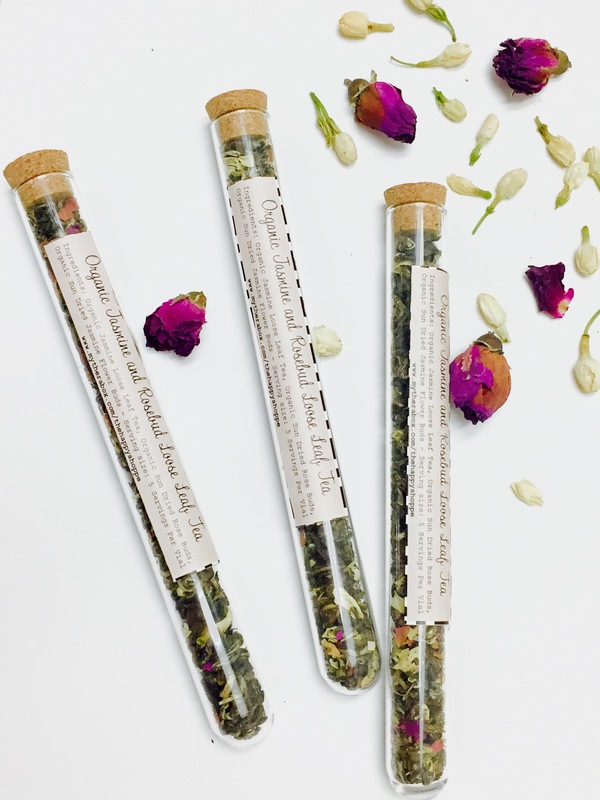 Use this in conjunction with the organic test tube teas to brew your perfect cup of tea! Instagram Happiness Guru @Happsters partnered with TheraBox to create a not yet released card just in time for Mother’s Day! Send this card to a deserving someone with a thoughtful message. Research shows that when we do acts of kindness for others, our own happiness increases! Talk about a win, win situation! That’s it for our April box of goodies, but we’re not finished yet…. We know you’ve been waiting to see what we have planned for May! All of Your Tea blends, Happy Tea included, are created by a team of qualified Chinese medicine practitioners. Concocting TCM blends require skill and knowledge, all of which is poured into each & every creation. 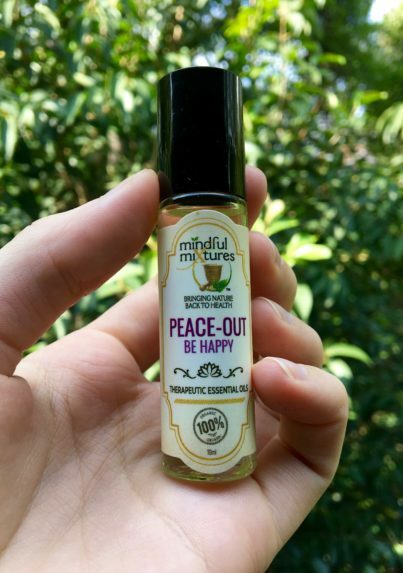 Happy Tea is filled with herbs that boosts emotional wellbeing, to make you feel happier inside and out! Visit their site for more detailed information about how happy tea helps in brightening your mood! A semicolon is a place in a sentence where the author has the decision to end the sentence with a period, but chose not to. It symbolizes strength+hope & is a reminder that your story is not over yet; the best is yet to come. 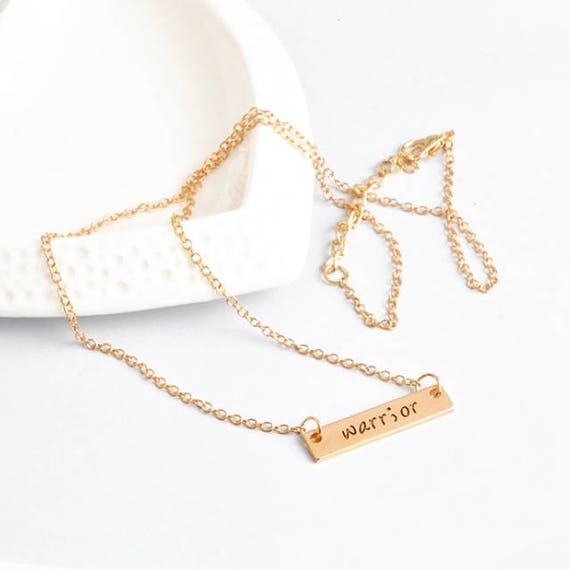 The simple yet powerful meaning of the semicolon weaved into the “warrior” in you serves as a wearable tribute to how far you’ve come, and the infinite possibilities of the exciting future. 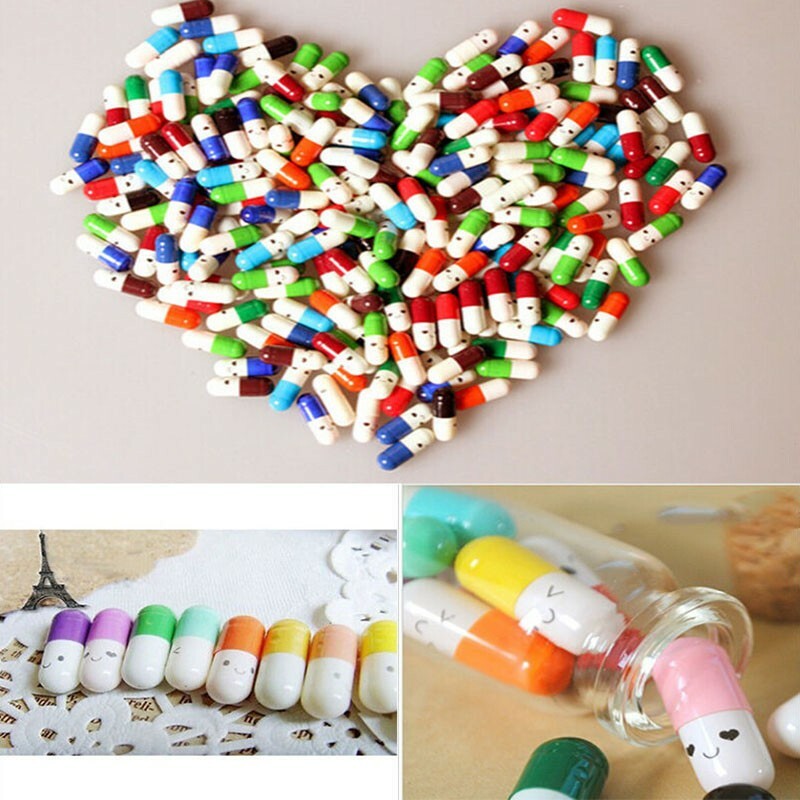 Happiness Boosting Activity: Happy Pills! For a limited time, receive a free bonus gift when you sign up! Use code BONUS at check out. Existing subscribers can receive this bonus gift as well by leaving us a review on facebook and emailing us at info@mytherabox.com when done! So how can knowing life’s two facts (death and change) actually help us?! Let’s begin with change. Change is scary, uncomfortable, and knows just how to get straight to the source of all our insecurities. We’ve all been there. Say you’ve always been a straight A student, but then one day you receive a C on a test. The sudden change often triggers all these scary, uncomfortable, and insecure thoughts and you suddenly begin to question every aspect of yourself and wonder if you were ever really a good student to begin with. Despite you doing something right 99% of the time, the one time you receive a criticism it’s like all your years of knowledge and hard work dissipated. When something unfamiliar happens (i.e., changing careers, losing a loved one, taking on a new role) it’s only natural that we begin questioning ourselves and what we know to be true. It’s how we grow, and learn about ourselves and the world around us. Without doubts, questions, and change there would be glory to life. But it isn’t a pretty feeling, and we’ve all wanted the feelings of uncertainty to just go away. Well, it’ll never completely go away (another fact of life, yay!). However, if we can sit with the knowledge that all things change and are temporary; then it can be incredibly liberating. Perhaps you’re thinking, ‘will knowing all things pass really make me feel better? It’s not like I don’t know that already. It just doesn’t really make me feel any better’. Well, let’s examine the truth of this thought. Have you ever been on a really scary roller coaster ride where you regretted it the moment the safety bars locked? You quickly began wishing you could get off, and just as you were about to tell the operators to let you off- ZOOM and off you went. Now, imagine if you never knew that you were guaranteed to get off and that it was all temporary and would end soon. Imagine if you really thought this was going to go on indefinitely. You’d probably feel 23408 thousand times worse. But instead, you held it together and rode that roller coaster like a champ because you knew (like really, really knew) that in about another 2 minutes and 35 seconds, it would be over. Unconsciously, that made you feel better and saved you from a complete mental breakdown. Sometimes we get sucked into the chaos of it all and forget to take a step back and realize that this too will pass. This feeling, day, week, season, year – it always changes and passes. If we can really know and believe in the fact that all things are temporary, just as we know and believe that we’ll get off that roller coaster eventually; then we can ride the waves of life in a much more gracious manner. True peace is knowing that all things (good and bad) will pass, and that it is okay. If we’re able to cultivate this type of peace, our inner world will remain stable and the external world will have little power in influencing our peace. I know it’s easier said than done, and it’s difficult to remember them or apply them wholeheartedly. We often wish for a simpler way out of the struggles we face, so at times we don’t like to remember these hard truths. I leave you today with a quote Robert Frost once said: “the best way out is always through”. We must go through change and difficulty to reach the finish line so that we may reflect back and smile at the ways in which we danced in the sunlight and umbrella’d through storms when our limited time calls for us. The upside though, is that there are always tools and resources we can use while we go through the eye of the storm.